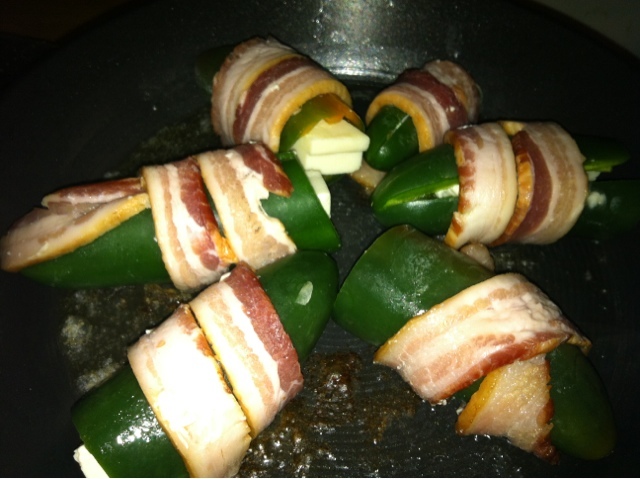 So I was patiently waiting for my soup to boil, when I thought – I have cheese, jalapenos and bacon! 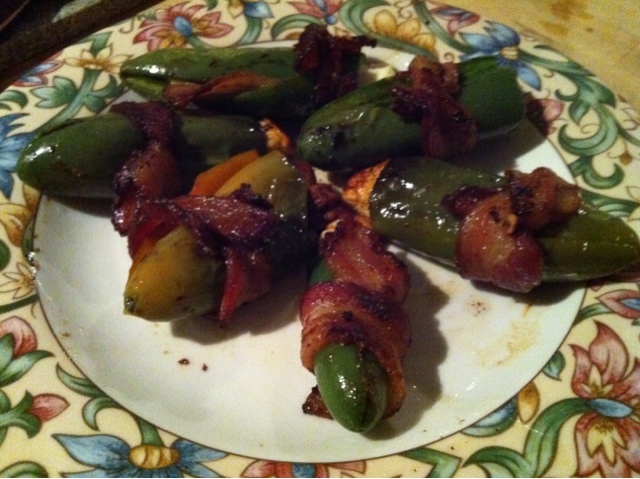 I took small slices of Cotija (harder, salty Mexian cheese) and stuffed them inside jalapenos (make sure you de-seed them first), then wrapped them in bacon. They were so amazing, but I learned that you should use thin bacon and consider pining it on with a toothpick, some unraveled in the process of frying.